Is there a person on the planet that hasn’t made a New Year’s resolution—and then failed to follow through? Setting goals may be the easy part, but turning those goals into results….? Well, we all know how hard that can be. Whether you’re hoping to shed a few pounds, step up your level of exercise, or kick that smoking habit once and for all—you can take steps to improve your chances of success. Here are just a few ideas. Specific: The goal is precise. Your goal isn’t just to walk more. With this goal, you will know exactly how many blocks you will walk each week. Measurable: You can tell whether or not you have achieved the goal. Achievable: Your goal should challenge you, but not be overwhelming. You’re already walking 7 blocks, 4 days a week. So you know that it’s likely you can walk 10 blocks, 5 days a week. Relevant: This goal is appropriate because exercise is a key part of a weight-loss or weight-management plan. Stay motivated. Understanding the big picture is one way to stay motivated for the long haul. What else keeps you motivated? · Try the buddy system. Have someone who’s supportive join you. It really works. · Reward yourself. Once you’ve met your goal, reward yourself with something material, like a movie or CD—but not food. Or, you can try something less tangible like a quiet afternoon sitting by a lake. How we can help. What if one of your goals has to do with managing your medications? Maybe you are having trouble remembering when or how to take them. Start with us. We can guide you. For example, we’ll show you techniques for taking your medications the right way. Or we’ll help you find products to jog your memory so you don’t forget to take your meds. Now, that’s a great buddy system! 1. WebMD: S.M.A.R.T. Weight Loss & Your Fitness Device. Available at:http://www.webmd.com/fitness-exercise/smart-weight-loss-fitness-device Accessed 12-5-16. 2. Smokefree.gov: 3 Things to Keep in Mind When Setting Goals & Expectations. Available at: http://women.smokefree.gov/your-weight-loss-expectations-goals/3-things-to-keep-in-mind-when-setting-weight-loss-expectations-goals.aspx Accessed 12-2-16. 3. Smokefree.gov: Goal setting: Eating, Physical Activity & Weight Loss. Available at: http://women.smokefree.gov/your-weight-loss-expectations-goals/goal-setting-eating,-physical-activity-weight-loss.aspx Accessed 12-2-16. 4. 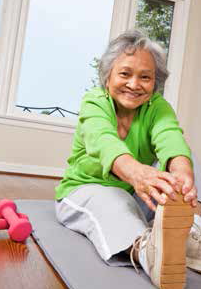 Smokefree.gov: 3 Steps for Setting Physical Activity Goals. Available at: http://women.smokefree.gov/your-weight-loss-expectations-goals/3-steps-for-setting-physical-activity-goals.aspx Accessed 12-2-16. 5. National Heart, Lung and Blood Institute: “Guide to Behavior Change.” Available at:https://www.nhlbi.nih.gov/health/educational/lose_wt/behavior.htm Accessed 12-2-16. 6. Nemours Foundation: Motivation and the Power of Not Giving Up. Available at: http://kidshealth.org/en/teens/motivation.htmlAccessed 12-2-16.